This week Aridea Solutions is at LiveWorx 2016. Aridea Solutions has been selected to be part of the Titans of Industry II: Customer Panel alongside LEGO, Analog Devices, Catapillar and MK Smart. The premier Internet of Things (IoT) business event will feature industry leaders, groundbreaking technology, and real-world use cases highlighting the possibilities of the IoT. The award-winning LiveWorx® event will bring the IoT from concept to reality and will feature leaders who are shaping the future with IoT innovation and technology and transforming their businesses to gain a competitive edge in the marketplace. Attendees will include thousands of professionals from around the world who design, manufacture, and service today’s products, as well as those who develop the applications and experiences that will unleash the future potential of those things. In addition to inspiring keynotes, hundreds of breakout sessions, customer testimonials, skill-building training sessions, and more, LiveWorx 2016 will feature the Xtropolis expo hall, where attendees will be the first to experience hands-on demonstrations of groundbreaking IoT and augmented reality (AR) technologies. This year’s event is sponsored by industry-leading technology and solution providers, including Accenture and Deloitte. LiveWorx 2016 attendees can choose from the following tracks designed to provide tailored and relevant content. Design – Design leaders from engineering to retail and product development will learn how to tap into connected devices and harness the data produced to reduce rework costs and improve development costs, collaboration, and time-to-market. This track also includes sessions created exclusively for retailers. Develop – Application and solution development leaders will take a fresh look at the latest technologies, IoT coding approaches, real-world applications, and development management approaches. Manufacture – Manufacturing and operations leaders will learn how the IoT can make production smoother than ever before by driving production efficiency, improving quality and performance, reducing risk, and more. Service – Service leaders will learn how to harness the power of the IoT to reduce service time/costs and increase efficiency. Discuss topics such as optimizing remote monitoring and analytics processes, improving product quality, pinpointing product issues, and preventing system disruptions and product failures. Develop@LiveWorx offers software developers, product designers, and engineers the opportunity to get hands-on with IoT technologies. Registered attendees in the O’Reilly IoT Learning Lab will work with technology experts to prototype an IoT and AR application in just three hours using Raspberry Pi 3 and other device hardware. Available to all, this specialized track provides real-life experience with AR and the IoT, demonstrating how these technologies are no longer emerging, but gaining more and more value across all industries. "The Internet of Things touches all aspects of business and society. And with it, the transformation of our world is no longer about if, but when. As the digital and physical worlds combine to create a new reality, companies must reevaluate and redefine how they create, operate, and service products and systems," said Jim Heppelmann, president and CEO, PTC. "Through hands-on demos and thought-provoking content, LiveWorx 2016 will bring together the community of industry pioneers defining the future of the IoT. 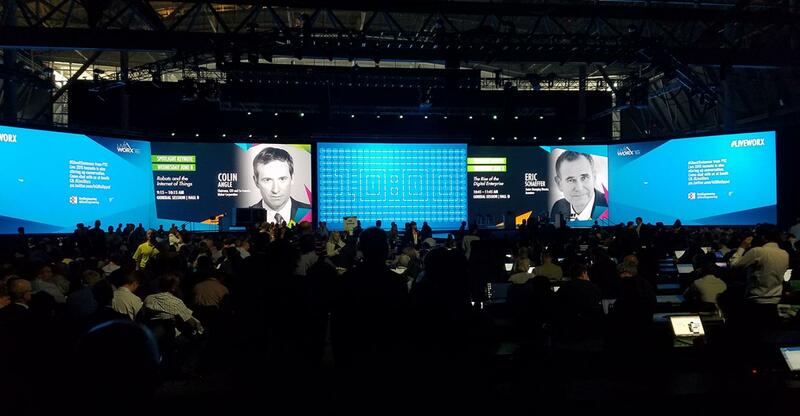 Over the course of four days, LiveWorx attendees will have the opportunity to experience the IoT like nowhere else – and like never before." Follow @LiveWorx and visit liveworx.com for more information, including registration, the agenda, and session catalog. LiveWorx® 2016 – June 6-9, Boston. The event for those that design, manufacture, and service today’s products as well as those that develop the applications and experiences that will unleash the future potential of those things.